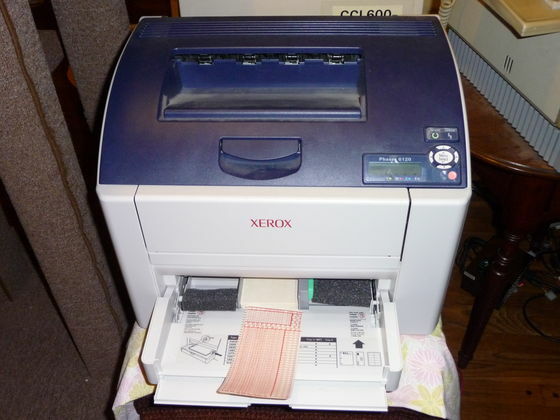 Using my laser printer to print mark sense cards. I put the foam blocks in to try to keep pressure on the cards so they would feed consistently. I adjusted the printing offset and rotated the image slightly so it printed in the correct location and straight on the card. Most of the cards printed the alignment was good enough that they were usable.